Growing up in Malang, East Java, we often visit our grandmother’s home from our father’s side. Their place is a colonial-era home with its grand details that never failed to fascinate us. It wasn’t big for its time back then. According to one of our aunts, that house was one of the houses rented by a Dutch ‘meneer’ who owned a Chevrolet dealership in Malang. Our grandfather got the house when former President Soekarno decided to nationalize Dutch-owned companies. Due to the decree, the said meneer must return back to his country. We were, and still are, in awe with the power that the house radiates and its robust craftsmanship. It has been more than a century and the only renovation that our late grandmother did was replacing its roof and a few paint jobs here and there. 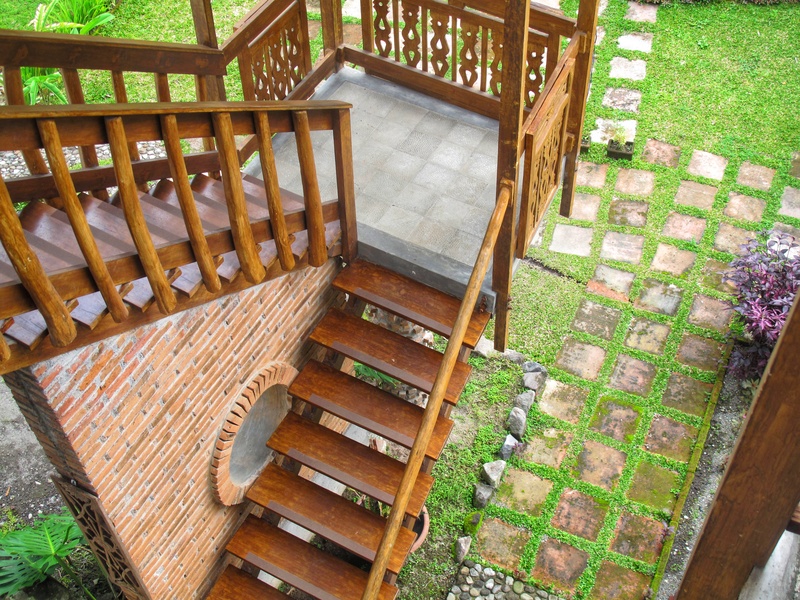 The teak wood found in its doors and windows are still in perfect condition. The handmade encaustic cement tiles found in its floor only faded a little. Our dreams and imagination to own a colonial-era building started from that house. Unfortunately, these kinds of houses can only be found in premium area with prices that are sky high. It was plain impossible for us to buy such home. A solution surfaced while discussing our building plan with our architect, Mr. Eko Prawoto. He suggested for us to use secondhand materials acquired from old colonial buildings. Thus, our search began. At first we collected antique doors and windows. Mr. Eko put us through to Mbak Iin, a wooden antique dealer. She acquired items from Madura and other eastern part of East Java. Among her collections are secondhand colonial-era garage doors, and antique teak wood door from Probolinggo, a window frame from Madura and teak wood arched door frames built in the 1930s from Sumenep. While in our hunting process, we met Mr. Maman and his son Ricky. They ran a secondhand wooden material shop. Through them, we were able to get antique Kalimantan and Papua wooden materials from campuses and hotels around Yogyakarta. We use these woods for the roof construction and stairs of Kalaka. At first, our idea is to use newly produced floor cement tiles. But when we contacted Pabrik Tegel Kunci, a cement tiles manufacturer, we were told to wait a year due to their high demand order. Thankfully, we met Mr. Sonny. At that time he had 200 square meters worth of antique handmade encaustic cement tiles that he acquired from old buildings in Semarang, Pekalongan, and Magelang. Not wanting to waste time, we immediately began to sort his tiles. 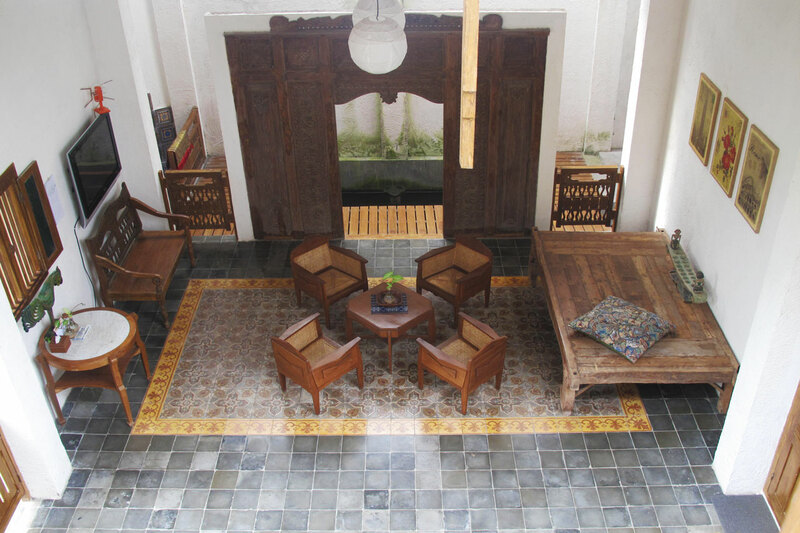 We managed to get the remaining tiles needed from Mr. and Mrs. Jono, whom by coincidence had just acquired antique cement tiles from old hotels around Malioboro. Often times we had to rent a pickup car and drove it by ourself in order to transport these items. By doing so, we managed to save cost. In the end, we used new items and materials only for a few necessities such as bath room utilities, roof, ceiling brick, and lightweight concrete block. Unfortunately, our grandmother didn’t get the chance to see Kalaka since she passed away in 2012. This is one of the reason we decided to put the project on hold. If only we can turn back time, we wanted to tell the story of Kalaka and all the adventures we had while building it to our beloved grandmother. Today, Kalaka has opened its doors to our future curious-spirited traveler. What stories we might not be able to share to our grandmother, might be a story we can tell to those who share the same passion like us. 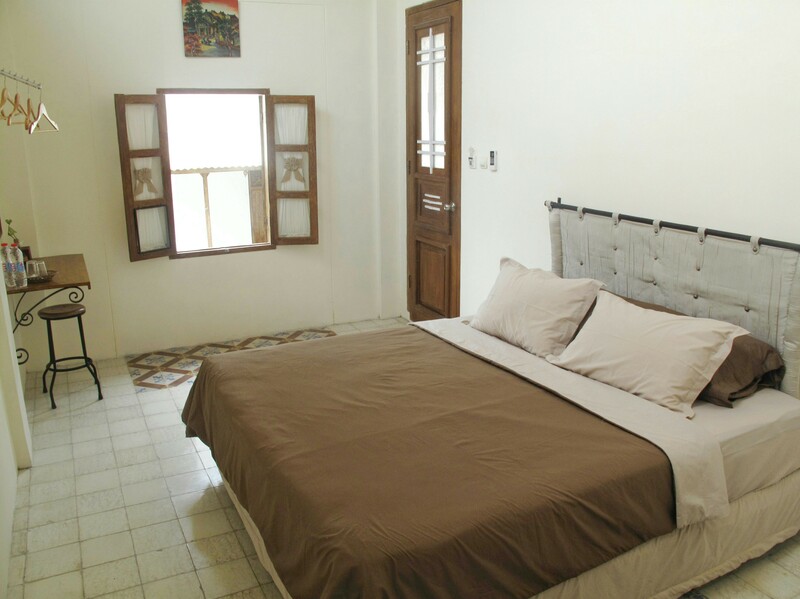 But most importantly, we hope the experience of staying with Kalaka can be a wonderful part of your journey in Yogyakarta.